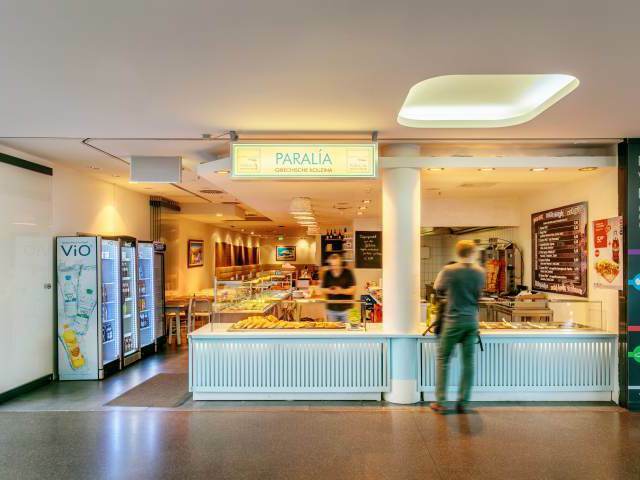 Paralia is a traditional Greek restaurant at ZOB Munich serving a host of Mediterranean specialities. Drop in before your departure, on your arrival – or simply when you fancy some appetizing Greek cuisine! Enjoy tzatziki, bifteki, gyros, souvlaki and many more of your favourite dishes. Come in for a tasty Greek takeaway – or why not eat in and enjoy the pleasant atmosphere at Paralia?